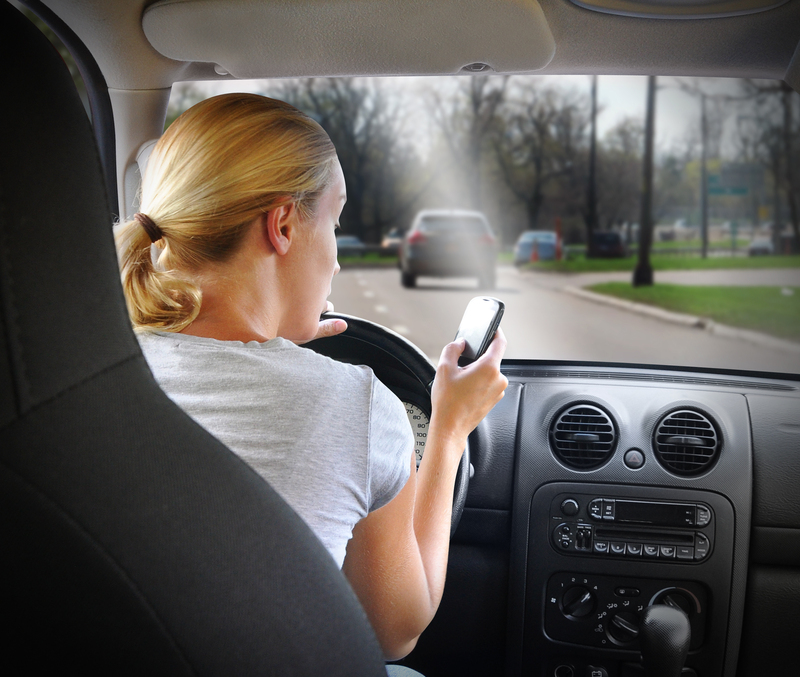 Distracted driving is a dangerous activity and is prevalent on Nebraska's roadways. In Nebraska there were 4,699 distracted driving crashes with 1,546 injuries and 19 fatalities in 2017. Nationally, 3,450 people were killed in distracted driving crashes in 2015. If it has affected you, you know something has to change. If it hasn't, unfortunately statistics show that it is just a matter of time – unless we instill change. Help us make that change. Click on any of the tabs below to find more information on Distracted Driving. Below, we remember those who have been affected by distracted driving. I was sitting at a red light when someone hit me from behind- they were texting and driving. It gave me a lower lumbar strain. One year later, I'm still missing family events and in pain. I have had several procedures to help the pain, nothing works. PLEASE don't text and drive, I am alive to talk about this, but it could have ended another way. Submit your distracted driving story here. 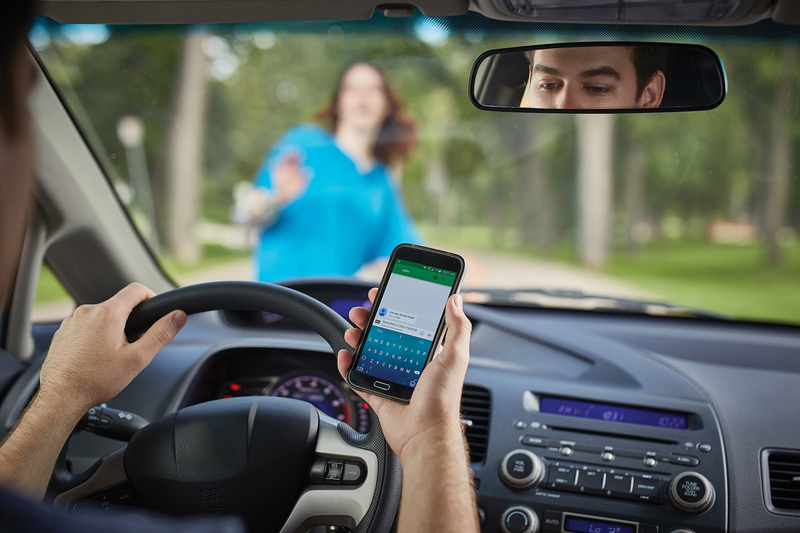 NHTSA and the National Safety Council believe that only half of fatal crashes tied to known mobile phone use are tracked as distracted driving. According to AAA, 2/3 of drivers ages 19 to 24 have read a text message or email while behind the wheel in the last 30 days. Use of handheld wireless communication device; prohibited acts; enforcement; violation; penalty. (1) This section does not apply to an operator of a commercial motor vehicle if section 60-6,179.02 applies. (2) Except as otherwise provided in subsection (3) of this section, no person shall use a handheld wireless communication device to read a written communication, manually type a written communication, or send a written communication while operating a motor vehicle which is in motion. (b) A person operating a motor vehicle in an emergency situation. (4) Enforcement of this section by state or local law enforcement agencies shall be accomplished only as a secondary action when a driver of a motor vehicle has been cited or charged with a traffic violation or some other offense. (c) Five hundred dollars for a third and subsequent offense. (b)(i) Handheld wireless communication device means any device that provides for written communication between two or more parties and is capable of receiving, displaying, or transmitting written communication. (ii) Handheld wireless communication device includes, but is not limited to, a mobile or cellular telephone, a text messaging device, a personal digital assistant, a pager, or a laptop computer. (c) Written communication includes, but is not limited to, a text message, an instant message, electronic mail, and Internet web sites. No driver should use a cell phone while driving. This includes reading, writing or sending text or electronic messages, surfing the web, talking on a handsfree or hand held device and voice to text. All drivers should turn off cell phones while operating a motor vehicle. A reminder that it is illegal to text and drive. Help Make a Change - Contact Your Senator! Speaking out is the easiest and most effective way for citizens to make an impact in national and local politics. Advocacy is necessary to let Nebraska lawmakers know that NSCN and many Nebraskans support stricter laws and tougher penalties. Experts from National Safety Council, Nebraska often testify before the legislature on bills concerning roadway safety. Contact your senator to turn your passive participation into active resistance. Calling is the most effective way to influence your representative. If you don't know who your Senator is or their contact information, click the button below. Develop a formal, written policy stating the company's position on mobile device use and other distractions while driving. Download a free policy kit below. Effective policies are communicated often and in various forms. Send regular messaging to employees via emails, newsletters, social media and training sessions to reinforce the policy. Free materials are available via the Become an Advocate tab. Company leadership must promote the desired safe driving behavior in order to create a company culture where cell phone use while driving is unacceptable. Let employees know that while they are on the road, no phone call or email is more important than their safety. Businesses without policies prohibiting cell phone use while driving are exposing their employees and themselves to increased crash risk and liability. The National Safety Council recommends policies prohibiting both hands-free and handheld devices for all employees. A corporate cell phone ban might ask employees to: Turn off wireless phones or other devices before starting the car. Inform clients, associates and business partners that calls will be returned when no longer driving. Pull over to a safe location and put the vehicle in park if a call must be made. Read why the world's largest manufacturer of fiberglass and related products chose to implement a distracted driving policy banning cell phone use for all employees. A sample cell phone policy kit is available from National Safety Council. Promote distraction free driving as a way to ensure a safe workplace and protect employee from preventable injury. NSCN recommends the following resources to help create a culture of safety. A distracted driving presentation is a great way to get started on raising awareness of the dangers of this deadly habit. To schedule a presentation, please contact us. Use free educational materials under our Become an Advocate tab to promote safe driving habits among employees. If you'd like to support the National Safety Council, Nebraska's mission to bring awareness to the dangers of distracted driving, click the Donate Now button. 100% of all donations will be used to educate and inspire Nebraskans to make a change.